History: 50 year old man with knee pain. 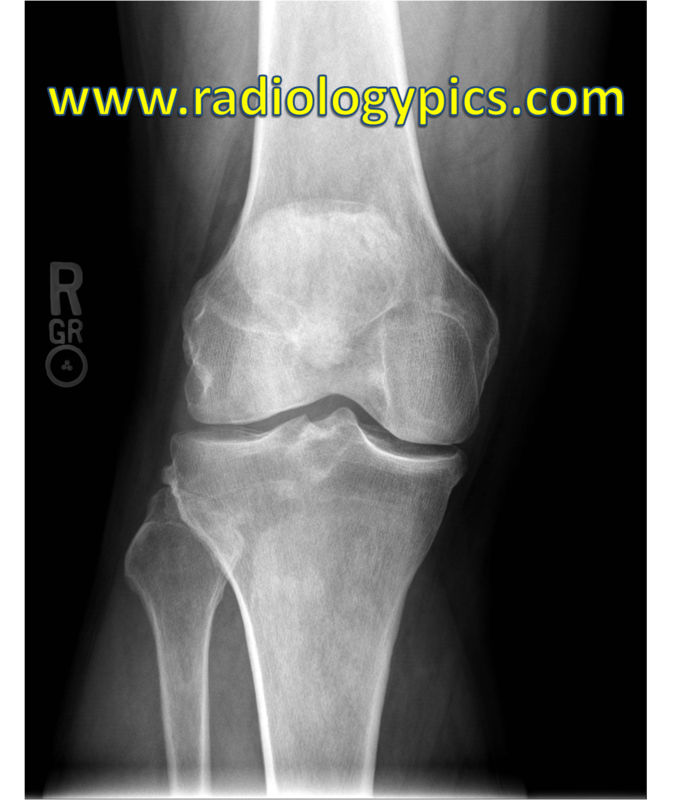 Frontal radiograph of the right knee. What is the finding?